SleepKing is a famous Canadian furniture manufacturer with two brands: Crown Design furniture for upholstery furniture and Therapedic for high quality mattresses. SleepKing Crown Design offers beautiful handcrafted furniture using the finest hard wood to provide great support and durable products. These include Crown Design sofa beds, love seats, sectionals, and accent chairs. Crown Design sofa cushions include environmentally friendly soy based foam to reduce the carbon footprint on the environment. SleepKing also makes Therapedic Mattresses that let your body relax and gently support your spine in its natural curve. SleepKing Therapedic mattresses have been awarded numerous patents, both in Canada and abroad, for development of the leading-edge mattress components over the last fifty years. Therapedic mattresses come with quality and value at the same time. 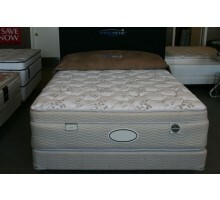 SleepKing provides matching mattresses and foundations to work together. The high quality SleepKing Therapedic mattresses are: Therapedic pocketed coil mattresses for ultimate comfort and conformance for your body. These are available in firm, medium, plush, and super plush comfort levels. Therapedic Back Sense mattresses with exclusive HourGlass polypropylene insert for additional support and maintaining your spinal alignment. Therapedic Medicoil mattresses for kids and guest rooms with tremendous value. Therapedic MemoryTouch mattresses made from temperature sensitive visco-elastic or memory foam with superior pressure relief. Therapedic PureTouch mattresses made from natural pure latex foam with antimicrobial, antibacterial, and dust mite resistant properties. 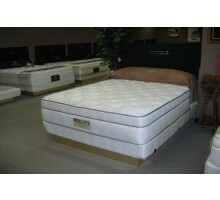 These latex mattresses provide you gentle orthopedic support and exquisite comfort for restful and healthy sleep. SleepKing also manufactures Therapedic accessories including Therapedic memory foam pillows, Therapedic latex pillows, Therapedic hotel pillows, Therapedic quilted mattress protector with exclusive terry toweling, and full encased mattress protectors. At Xiorex furniture we are proud to present you the best of SleepKing products.